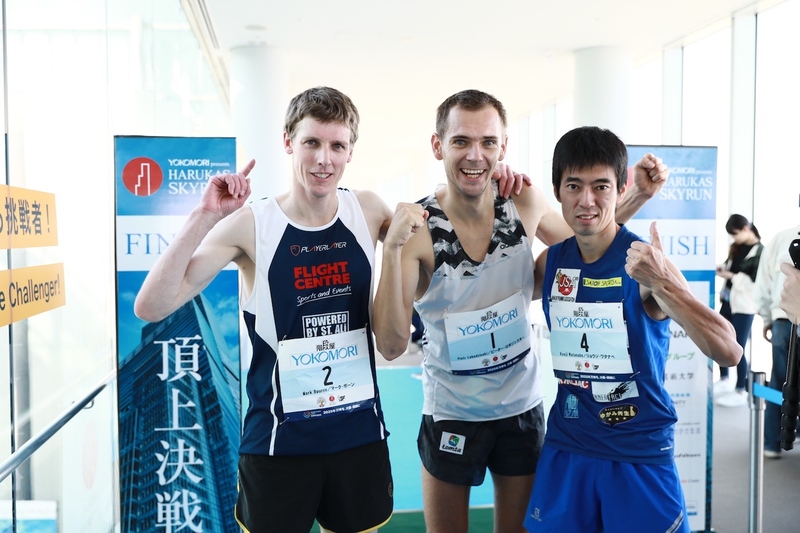 A new men’s record was set today on Japan’s tallest tower at the Harukas Skyrun, the seventh leg of the Vertical World Circuit skyscraper racing tour. 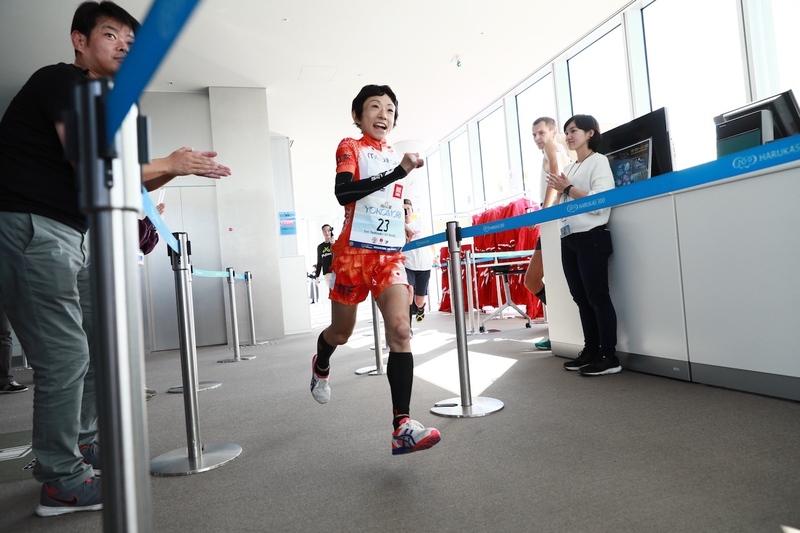 A record field of 1,500 runners climbed 1,610 steps and 59 floors to the rooftop of the Abeno Harukas building in Osaka. Vertical World Circuit champion Piotr Lobodzinski from Poland won the race for the third time, bettering his own 2017 record by two seconds to close in 8’32”. Local athlete Yuri Yoshizumi also took her third win in a time of 10’36 win, but fell short of her own record set last year. “It was a tough race, but I’m really happy to be first again and even more excited to set the course record. 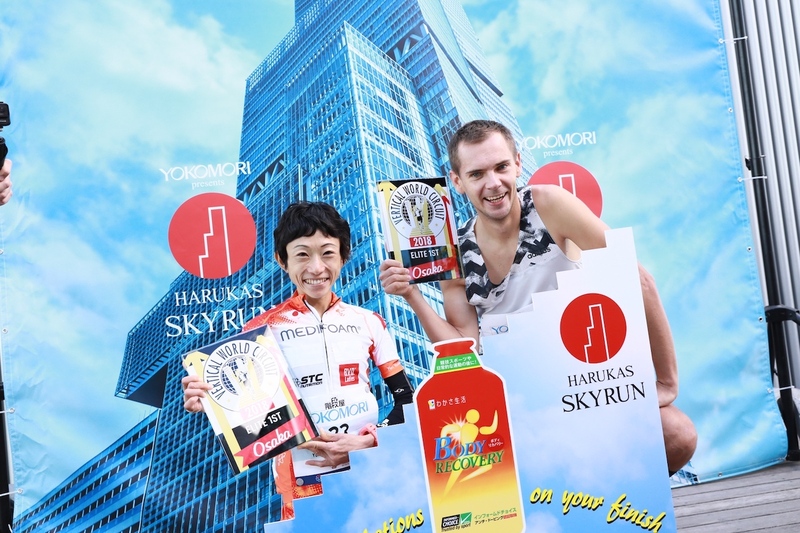 I look forward to coming back again next year for the Harukas Skyrun”, Lobodzinski said. The third edition of the event saw a strong elite field from across the world contend for the Vertical World Circuit ranking. Unable to clinch the top spot, Australian Mark Bourne closed 10” off the winner, placing again an excellent second in 8’42”. Another repeat performance came from Japan’s Ryoji Watanabe who closed the podium in 8’45”. From Finland, Laura Manninen put her road-running skills to the test in her second vertical race to take second position in 11’10”. Australian Brooke Logan was third in 11.44”. With five straight wins Lobodzinski heads the ranking, but with two more races offering bonus ranking points, his world title is not necessarily certain. After today’s race Watanabe rises to second, while Beligian Omar Bekkali slides to third. From Australia, Suzy Walsham, six-time VWC champion, has also racked up five wins. Russel climbs to second and Italy’s Cristina Bonacina drops to third. The ranking counts the best five results out of nine races. Heading for those precious ranking points will be a world-class line up at the Vertical World Circuit semi-final where London’s Broadgate Tower RunUp on November 24 will offer an extra 25% bonus points.